Since 2011, Vice Adm. Robert B. Murrett (Ret.) has been a faculty member in the Maxwell School Department of Public Administration and International Affairs and the Deputy Director of the Institute for National Security and Counterterrorism (INSCT). He holds a courtesy faculty appointment with the Forensic and National Security Sciences Institute and is on the Advisory Board of the Institute for Veterans and Military Families, both at Syracuse University. In 2016, Murrett was the recipient of the Birkhead-Burkhead Teaching Excellence Award and Professorship at the Maxwell School. In addition, he is a staff member at the RAND Corporation and the Institute for Defense Analyses, and he chairs the MITRE Intelligence Advisory Board. 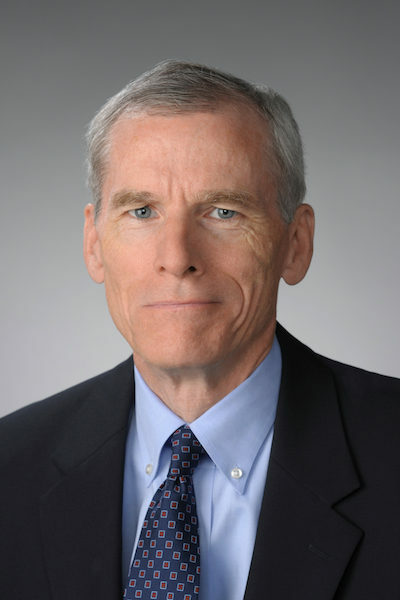 Before his Syracuse appointment, Murrett was the fourth Director of the National Geospatial-Intelligence Agency, from 2006 through 2010. Before this appointment, Murrett served as the Director of Naval Intelligence from 2005 until 2006 and the Vice Director of Intelligence on the Joint Staff from 2002-2005. Following his commissioning, Murrett was assigned as an afloat intelligence officer, including Mediterranean, North Atlantic, and western Pacific deployments aboard the USS Kitty Hawk, USS America, and USS Independence. He was assigned to the Defense Intelligence College in 1980, then detailed to the Chief of Naval Operations Intelligence Plot as a watch stander and briefing officer for Navy civilian and military leaders. From 1983 to 1985, he served as Assistant Intelligence Officer for the Commander, Second Fleet. In 1989, Murrett reported to the Commander in Chief, US Pacific Fleet, where he was assigned as Operational Intelligence Officer. From 1992 to 1995, he served as Assistant Chief of Staff-Intelligence for the Commander, Carrier Group Eight and was deployed to the European and Central Command theaters. Between 1995 and 1997, he was Assistant Chief of Staff, Intelligence for the Commander, Second Fleet and served concurrently as N2 for NATO’s Striking Fleet Atlantic.